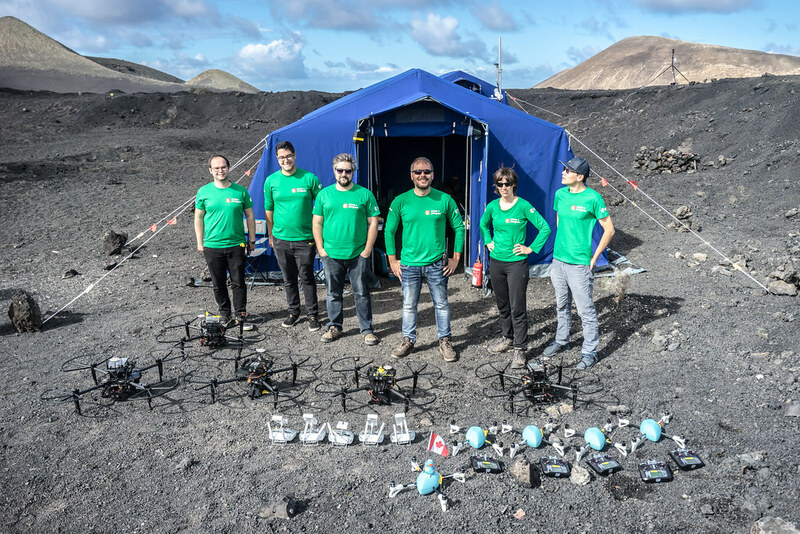 Our field mission with the European Space Agency for the PANGAEA-X experimental campaign was a success! We deployed 6 flying robots, controlled with a single tablet by one of the European astronauts. Our experiments were also featured on the science show Tomorrow Today - The Science Magazine. You can see the full reportage here. When we designed our language Buzz, we wanted to create something that could be ported to any robot. We have made an initial port of Buzz for a popular robotic platform, the Khepera IV. The result of this port is a "glue" library that provides a set of functions for controlling the robot to the Buzz interpreter. As usual, we have released the (still unfinished!) code on GitHub. The total integration work was only a couple of days' work, a testament to the portability of Buzz. I would like to thank Altera for the generous donation of their flagship Stratix V board. It will be used for radiation and fault tolerance studies.